Yesterday we asked if, and how often, you made use of your smartphone camera's digital zoom feature. And a bit surprisingly, the numbers came back indicating a pretty even, 50-50 split. Just under 50% never make use of the feature, while ~9% and ~42% do so all the time/occasionally, respectively. There are good reasons for this split, as are there for and against digital zooming. On the positive, digital zooming can be useful to avoid post-shot cropping, and with setting the proper exposure and getting the right perspective directly from the viewfinder. Proper exposure, in particular, can be a pretty important win for digital zoom depending on the scenario. On the other hand, digital zooming is nothing more or less than software-assisted magnification of the information captured by the camera, meaning detail is sacrificed in the process—especially if you go wild with it. Do you use your smartphone camera's digital zoom? 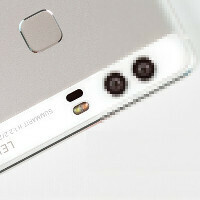 What about Clear Image Zoom in Xperia phones? So, 50% of people are twits that don't understand how digital zoom works? Some are just too lazy to manually crop the image. yup, sadly most smartphone users don't know s**t about tech. Probably this article is a kind of market survey for some BIG mobile manufacturers!! The digital zoom works very well on my Galaxy S6 unless I max it out all the way. Just because I occasionally use it doesn't mean that it is any good! Its just quicker to send to someone than taking a picture, opening another app to crop it, then trying to remember where the damn app saves the resultant edit. And sometimes you really just don't want that wide a view. The phone is only for snaps anyway; anything proper I use my 30x optical zoom compact camera. Even that loses quality because at full zoom its effective aperture causes artifacts unless the light is really bright - not too frequent in the UK.